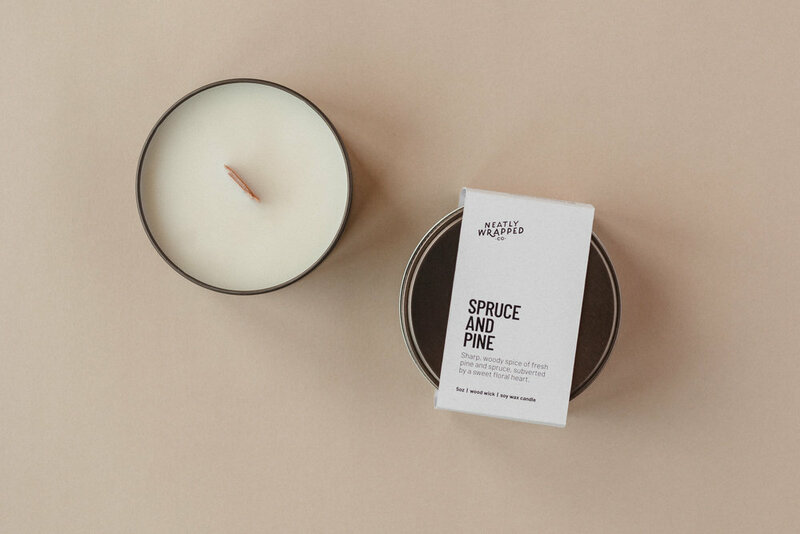 Spruce and Pine — Neatly Wrapped Co.
5oz wood wick soy candle in a bronze tin, with a Spruce and Pine fragrance. 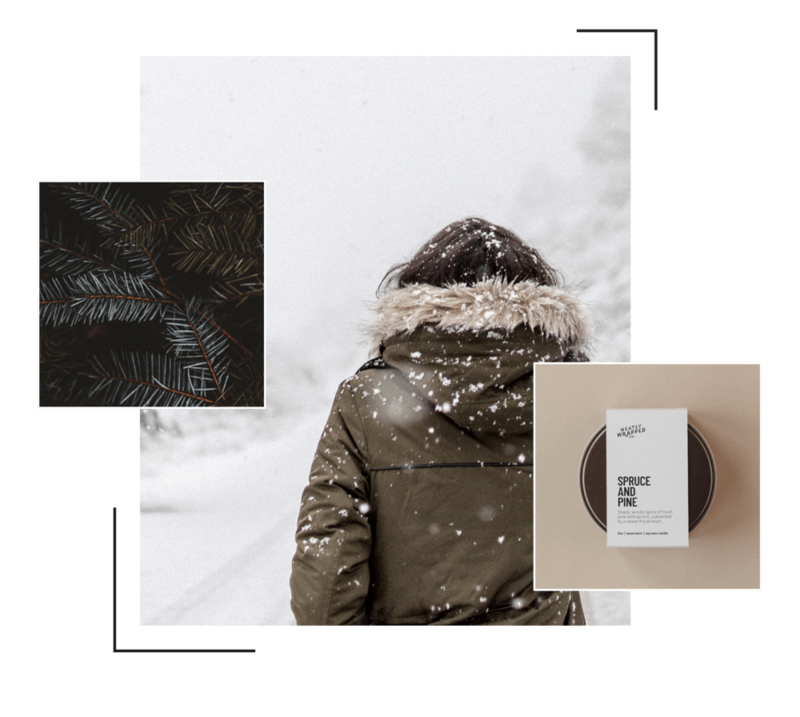 The sharp, woody spice of fresh pine and spruce, perfectly subverted by a sweet floral heart. This is a refreshing and sweet outdoor fragrance, with woody fresh cut pine, fir and resin. It’s sharp, but less sharp than it sounds - there’s a sweetness at the heart of it. A beautiful and thoroughly festive, wintry scent. The fragrance oil in this candle contains - oils, orange, sweet; d-Limonene; alpha-Hexylcinnamaldehyde; Cinnamaldehyde; Artemisia vulgaris, ext.